There are many ways of moving your personal effects around the world, whether moving from London to New York, or emigrating to the South of France. Your destination and how much you want to move may influence which option is most suitable for you. We have compiled this guide to help explain the transportation options, including: full container load, loose shipment, less than container load, roll on roll off, and air freight. Household effects to be shipped overseas are secured and transported in large metal containers which are carried on ocean going vessels to the port of arrival and then onward by road or rail to their ultimate destination. 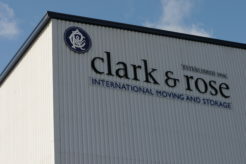 There are two sizes of container that are used worldwide on all trade routes – 20 ft general purpose containers (approximate capacity 1100 cubic feet / 31 m3) and 40 ft general purpose containers (approximate capacity 2200 cubic feet / 62 m3). The benefit of an ‘exclusive’ FCL container is that it is only your personal effects within the container, and in the majority of cases, the container is loaded and security sealed at your residence. The container will then be routed directed to the port and loaded on the next sailing to your destination. In certain countries, your container could be delivered direct to your new residence, subject to customs and agricultural inspections in the country of destination. A service in which you ‘share’ container space with other people moving to the same destination. This is a popular method for transporting smaller volumes and is often used on the Australia, New Zealand and North American destinations. This method of shipping favours personal effects packed in cartons with minimal amount of furniture. 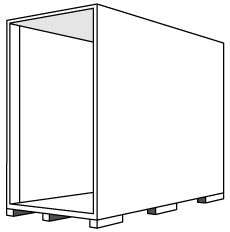 You would not move glass cabinets, fine crystal and sensitive electrical equipment due to the physical handling of the cartons. Another aspect of groupage to bear in mind is time: since you are sharing container space your shipment may remain in our warehouse for 2 – 4 weeks before loading. Our office will give you guidance on this. If you require further information please contact our international coordinator. Groupage consignments are placed within a timber case either at your residence or our warehouse and then shipped with other groupage consignments within the same general freight container. This method reduces handling, allows fragile items to be protected full and increases security. An LCL shipment can also benefit from a swifter transit, as like FCL, a LCL shipment can move on weekly sailings to the majority of global destinations. 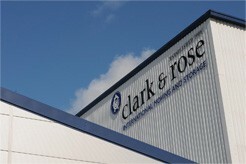 All wooden containers supplier by Clark and Rose meet agricultural regulations as required by the majority of countries. If you choose to take a car overseas with you firstly check that your car meets the arrival country’s environmental and safety standards. Failure to do this can be expensive and in some cases your automobilie may be impounded. In many cases a car can be loaded with your personal effects into an FCL container. Alternatively you can ship your car via a ‘RO-RO’ service. 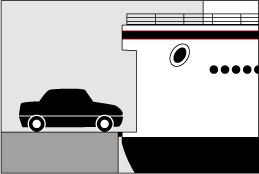 Your car will be collected by trailer, transferred to the port and driven onto the vessel. At destination the automobile will be processed through customs and either released to your order or delivered to your new home. The automobile must be in a running condition, and throughout the transfer inspections will take place to monitor condition door – door. Consolidated air freight, where a number of shipments are grouped together and sent as bulk shipment by the freight forwarder or consolidator. It is a commonly used method, and can be more cost effective than a direct booking, but typically has a longer transit time. The second option is direct service which offers a faster time but tends to be more expensive depending on the destination. 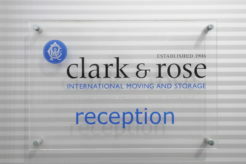 With an office in Paris and a regular service from the UK to France, Germany and Switzerland Clark & Rose are ideally place to manage your move to mainland Europe with care and efficiency. Through our established network of agents and trusted partners we can also offer road services to Scandinavia, Eastern Europe and Russia.